December 2008 Comments – Taxpayers … value for money? There surely can be few other areas of Government which provide poorer value for money than DEFRA’s Flood and Coast Protection (F&CP) department. F&CP now has it’s own ‘Bermuda Triangle’ the three sides of which are DEFRA, Environment Agency (EA) and Natural England (NE). Dubbed Bermuda Triangle because if one lives on the coast and happens to be caught between those three (one department and two quangos) it is quite likely that one will disappear into the administrative, process led and target orientated black hole which they seem to create. The only thing which seems to disappear faster than any individual caught in it is taxpayers money. Against the backdrop of significant underfunding more and more of our money which is made available is being spent on processes to achieve the goal of spending less and less on coast protection. In fact I’m sure we must be approaching the time when we will be spending more on avoidance procedures than actual protection works. In reality the new system of reduced funding, even more inadequate benefit to cost criteria, positively mystical ‘outcome measures’ and EA overall control is doing what Government quietly wanted it to do, that is create a more effective smoke and mirrors scenario along with a reduction in works undertaken on the coast. Over the last three years F&CP, as it is now entitled, has had two Secretarys of State and is currently enjoying it’s fifth consecutive Minister. Most of whom simply did not have a clue about what they had been put in charge of. They just espoused whatever their senior civil servants ‘advised’ them to say. I am given to understand at least one of those ex Ministers has spoken privately and, allegedly, conceded that with F&CP they (presumably the Government) have got it all wrong, that it is an absolute mess and how pleased and relieved he was to get away from it. I’m sure the same could be said for all the previous incumbents. Personally I have spent almost ten years of my life living, eating, breathing, sleeping coastal process and policy. In all that time I have never seen the situation so dire as it is now. All around the country defences are failing with no intention from central Government to repair or replace and absolutely no means of managing the consequences unfairly levied on individuals and communities as a result. I remain convinced that the whole coast management polcy, structure and application as it currently stands is absolutely unsustainable and is breeding really significant problems for future generations and society. Back to the ‘Bermuda Triangle’ and the black hole into which more and more taxpayers money is pouring for an ever diminishing return. We simply must clip NEs wings, we cannot go on giving greater emphasis to flora and fauna at the absolute expense of man’s homes, businesses and cultural heritage. We must redress the utterly idiotic situation where flora and fauna receive 100% compensation, irrespective of cost, for loss of habitat (no benefit/cost criteria here) and people lose their homes and livelihoods with absolutely no compensation or assistance of any kind. 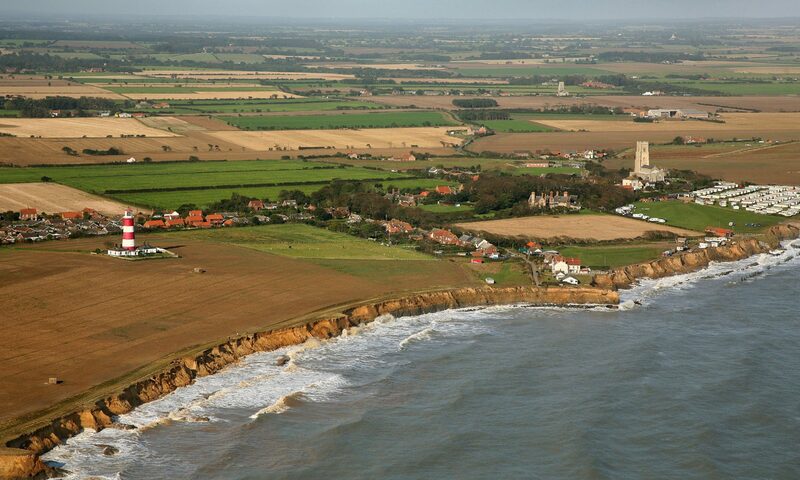 As I type this news has come through that Peter Boggis has received judgement in his favour in the matter of his case against Natural England (NE) who tried to stop him defending his home at Easton Bavents, Suffolk from coastal erosion. I recall some years ago the very beginnings of the dispute over Peter’s attempts to protect his home. At that time it was the forerunner of NE, English Nature, who attempted to halt Peter’s efforts. My understanding is that after consultation amongst themselves behind the scenes, the various Government (both local and national) departments decided it would be best left to English Nature to stop this individual’s attempts to save his home by envoking the SSSI at Easton Bavents. However when English Nature began proceeding they discovered the original SSSI had expired and they found that Easton Bavents frontage was no longer subject to any SSSI therefore they could not proceed under that situation. Not to be outdone they urgently created a new SSSI (without any public consultation) with which to attack Peter Boggis. This subsequently cleared the way for the latest incarnation of the by now defunct English Nature, Natural England, to use it’s ill gotten powers to stop this perfectly ordinary (but exceptional), law abiding, right thinking and conscientious British citizen and bring him to heel. In short I firmly believe it was all about making an example of one individual to deter others. This case throws up some interesting questions ie why are these over zealous Government quangos allowed to determine what constitutes an SSSI and their own interpretation of the ‘rules’ in a clandestine manner. Absolutely everything they do must be open, transparent and subject to public scrutiny and assent after all the entire cost of their very existence is borne by the taxpayer yet the taxpayer has no say in how they conduct themselves. Already in it’s relatively short lifetime NE has managed to create low morale amongst many of it’s own staff. As was clearly demonstrated recently, when asked to cut back it’s overhead, it put the question of voluntary redundancy/natural wastage to it’s staff and I understand at least half the entire workforce applied to go! Along with that they are regarded by individuals and communities all around the coast of this country as public enemy number one. Without doubt the Peter Boggis/ Easton Bavents affair has severely damaged their credibility and I fear if they take up the option to appeal the judgement what little credibility remains will be destroyed. I would urge Helen Phillips, Chief Exec. NE, to seriously consider her and her quangos position. Having as it were shot themselves in one foot do they really want to put a bullet in the other one ? There is a limit to what even British taxpayers will swallow and Natural England is becoming more and more unpalatable to their ultimate owners, the long suffering taxpayer. What I find extremely regrettable in all of this is the effect on NE staff some of whom are extremely competent individuals that I have had the privilege and pleasure of working alongside and with in the quest for a socially just, effective coast management policy. What is urgently needed is a root and branch review of Natural England and it’s fitness for purpose, it’s remit and it’s ethos.